If you are busy like me, you are always looking for recipes that are simple, easy, and delicious. My Saturdays are usually a busy day, with running around to do the grocery shopping, cleaning the house…. so when it comes to dinner I like to make it as easy as possible. There are some Saturdays that it is nice to go out to eat or get take out, but I like to find a simple recipe and eat at home. I was looking at Pinterest when I came across this recipe for rotisserie chicken made in a crockpot. Sounds interesting, doesn’t it? Well I knew that this was a great recipe for my busy Saturday dinner. I love the crockpot, it makes life a little easier and meat made in a crockpot always comes out so nice and tender. 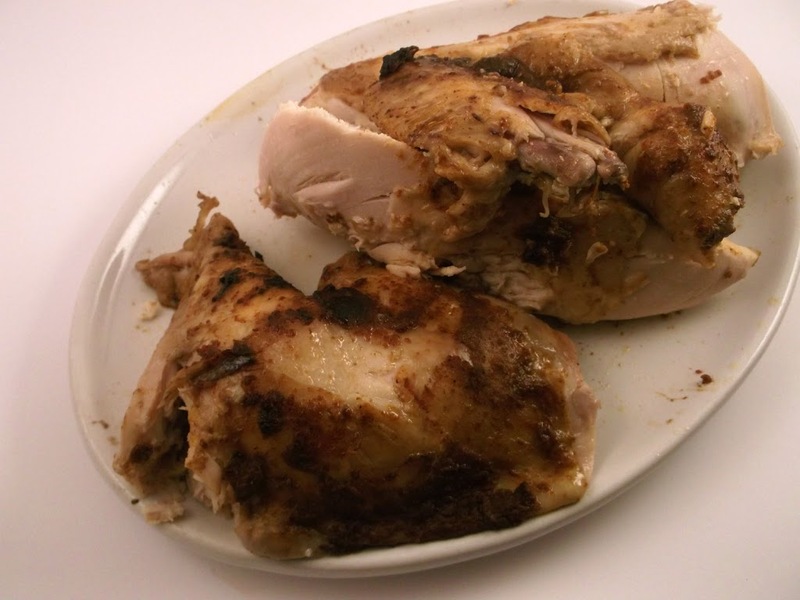 Which is exactly happens when you make this chicken in the crockpot; the meat is moist and tender. 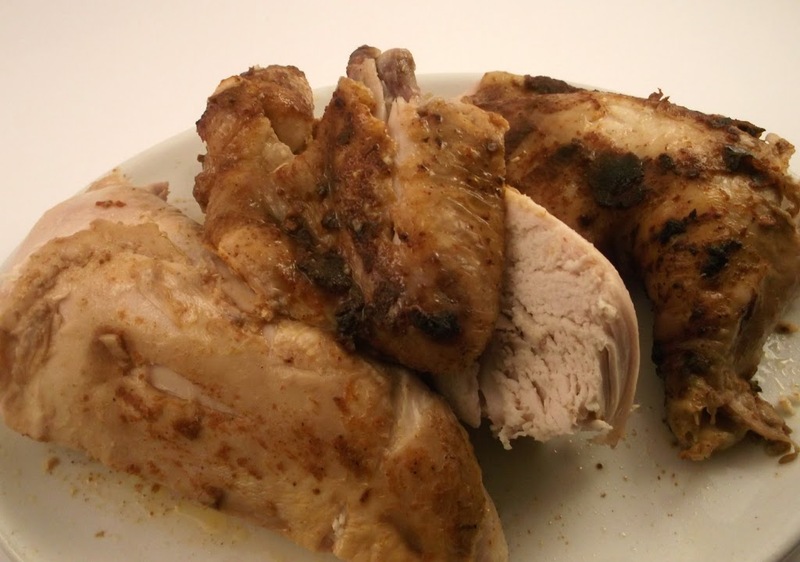 This recipe takes about 10 to 15 minutes to get the ingredients mixed together for the rub and rubbed onto the chicken and once the chicken is in the crockpot you can walk away. And as the hours tick away the house is filled with the amazing aroma of this chicken. Who needs takeout when you have a recipe this simple and this yummy, not me? 1. Place all the seasoning into a small bowl and mix together. Stir in the water a teaspoon at a time until a paste forms. Spray the sides and the bottom of your crockpot with a cooking spray. 2. Coat the chicken outside and inside with the paste. Place the chicken into the crockpot breast side down. 3. Cover and cook on low 6-7 hours or on high for 3.5 to 4.5 hours. Make sure the thickest part of the thigh registers at 180 degrees. 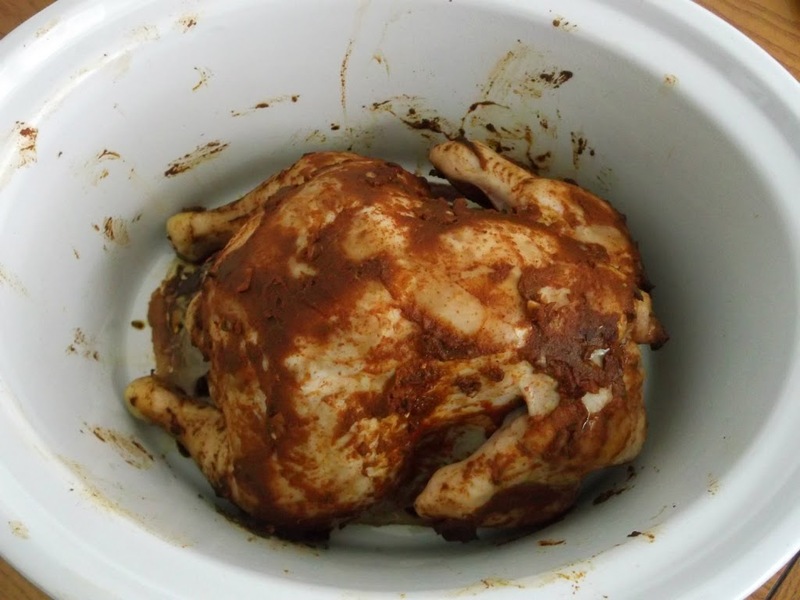 Your chicken looks fabulous…and I cannot believe that was done in the crockpot…I sure have to start to use mine. Interesting recipe! It would never occur to me to do a rotisserie-style chicken in the crock pot. Looks wonderful. Thanks for taking time to experiment, and share with us!